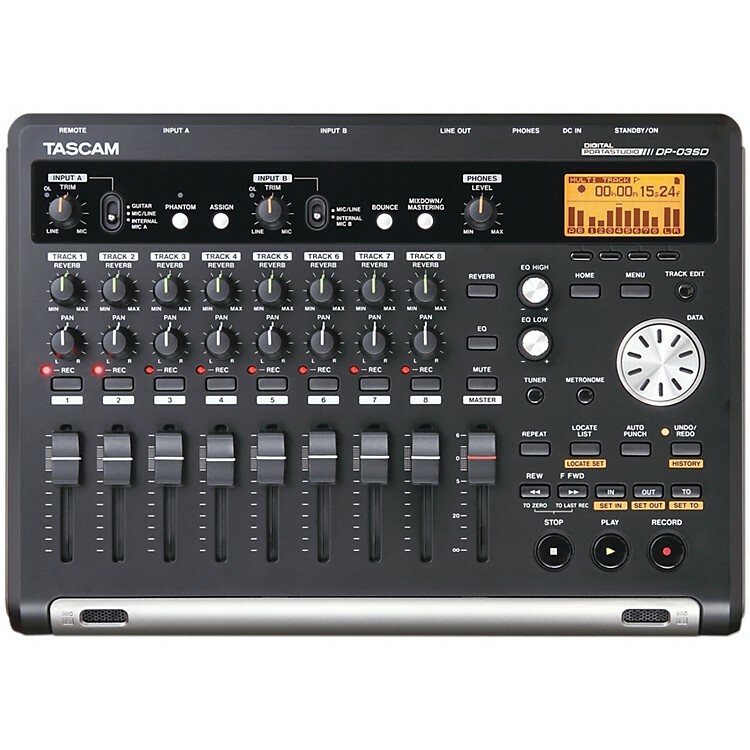 Eight track digital recording at unprecedented prices. Routing the inputs to one of the eight tracks is simple, and you can record two at a time until you fill up all eight. A tuner and metronome are built-in for tight-sounding tracks, each with its own dedicated button for quick access. Track can be edited with commands like copy/paste, silence, clone track and undo. Bouncing is also available, even bouncing all eight tracks down to one or two. There’s even the option to import a WAV file through USB. Each track has its own send to a stereo reverb processor as well as two-band shelving EQ. Once you’ve perfected your mix with the 45mm faders, pan knobs, reverb and EQ, record it to the dedicated stereo master track. Your mix can be processed with mastering effects like EQ and limiting for a tight, modern sound. When you’re satisfied, transfer your mix to a computer over USB 2.0. Most music gets away before you can catch it. Order today.